We're taking care of my niece Lucy while Layli is on pilgrimage. Yeah Layli! Mom and Khalil are both there too. Lucy's doing a great job dealing with new people and being away from her home base and her mama and nana. She's an excellent guest, always telling me that I'm so cool and so pretty and that my household is so cool. Don't mind that one bit. She's also making me step up my game a little, what with new allergies to factor in, homework to help with, etc. That's been good too. It's good to have a distraction from winter and an extra reason to be my best self. I'm really grateful to have the opportunity to get closer to her than I have before. Hooray for Lucy time! 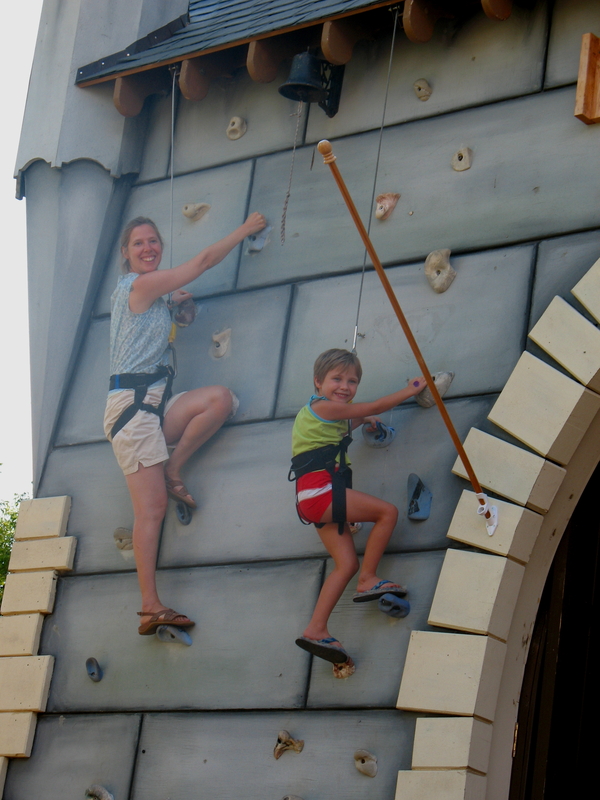 The climbing wall was at a renaisance fair in the Chicago area this past summer.